This improved one-volume edition of a very successful textbook contains just about the same vocabulary and introduces grammatical features in about the same order as the first edition. In other respects the book has been severely revised and reformatted. 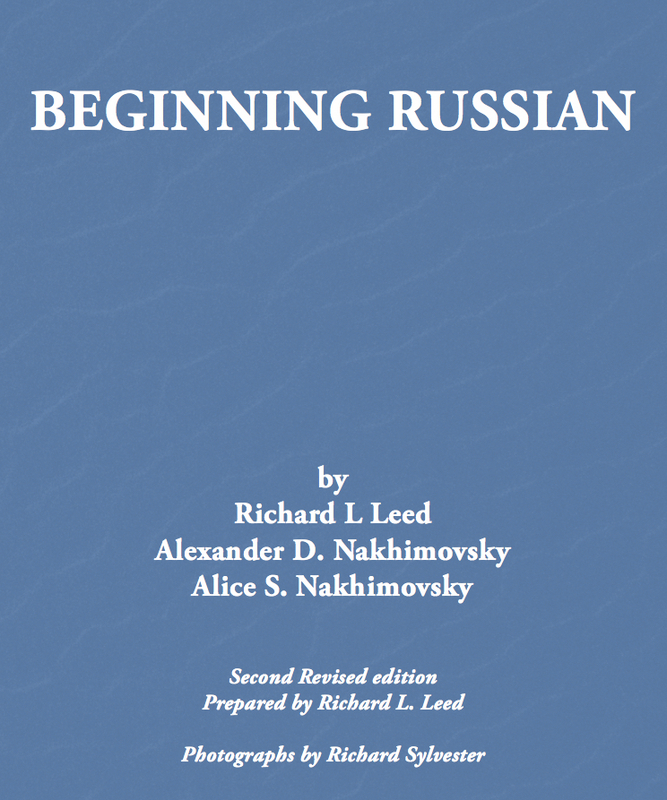 It has been shortened, so that it is truly a first-year textbook, one that can successfully be completed within two semesters, but still contains a discussion of all major grammatical categories of Russian. The original large lessons have been broken up into units that correspond to a day's work; there are 110 lessons, plus 14 grammar reviews. The reading selections (the Zyuzya story) of the first edition have been eliminated. There is much more information and exercise material on pronunciation and intonation. As in the first edition, many of the exercises are in the form of short conversations; this provides a kind of bridge between strict grammar drill and totally free conversation. Beginning Russian is intended to be used with the dictionary 5000 Russian Words and additional readings (in the second semester) such as Chto ia videl (both published by Slavica).